It’s been a long time since you’ve heard from me. Since my last missive sent to you many moons ago, I have been many places, seen many things, taken many photos and had many experiences. 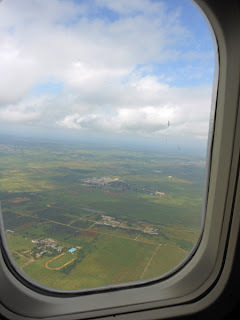 This trip is different as I write to you from Habana Cuba the day of my arrival here. This is how this trip came into being. I’m traveling with my first cousin Bertha who is 93 years old. Her mom and mine were sisters. I’ve known Bertha for sixty years. She was born in Cuba in 1918, lived an upper middle class life and traveled the world. Bertha was pro-Fidel at the onset of the revolution but after a while became disenchanted with Communism. She always remained a strong Fidelista. There is a difference in Cuban culture and politics between loyalty to Fidel but not necessarily to communism. This is really a socialist state. Sometime later Carlos, her husband, became seriously ill, almost near death with a heart condition requiring open heart surgery. Because open heart surgery was not available in Cuba at that time, they traveled to Atlanta, Georgia where Carlos’ brother was a cardiologist and his wife an anesthesiologist. In their 50s Bertha and Carlos arrived in the USA in February 1969 to have life saving medical treatment and started a new life in the US. At that time of the post revolutionary fervor, if you left Cuba for any reason whatsoever, the state confiscated everything you owned. Bertha owned and managed a chain of beauty salons with over 20 employees, catering to the super rich and Carlos was the manager of the American owned B.F.Goodrich Tire Company. They had a ranch in the country, house in the fashionable part of Habana and a condo in the city. They arrived in the US with nothing other than the clothes in their back; all their possessions and accomplishments were left behind when they left Cuba. Carlos died in 1999, at age 82 after a ten year bout with Alzheimer’s. Bertha took care of him at home; she did this alone without any assistance whatsoever. They never were on the public dole for anything. In 2005 she returned to Cuba for the first time, 36 years after her original departure, to visit the one and only relative who remained alive, her aunt Idelia who was very ill and close to death. Bertha was 87 years old at that time and made the journey to Cuba alone. 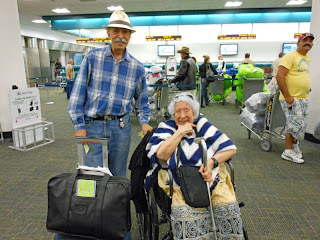 In 2008 she again went to Cuba, traveling alone; she was 90. She went to visit her husband’s niece Olga, who inherited the house of Bertha’s in-laws and the very place she and her husband Carlos visited and stayed when she lived in Cuba. 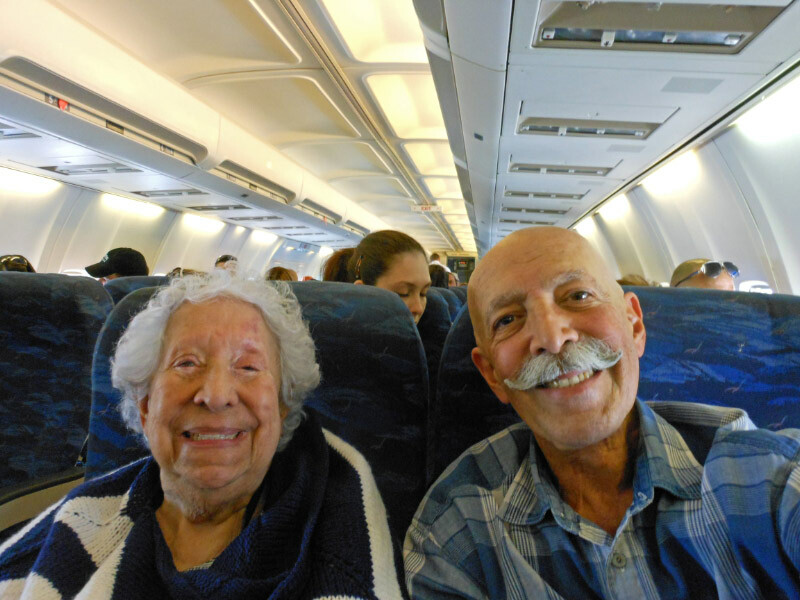 Now at 93, Bertha told me that she could no long travel unaccompanied so I decided to take her, accompany her and protect her. She wanted to say goodbye to whoever remained and to explore the possibility of reclaiming her house which she lost when she fled Cuba. She wanted to guide me so that I could connect to my ancestry. Recent changes earlier this year in Cuban laws now allows the personal ownership of a home and the ability to buy or sell one; something which was never permitted previously. My journey began Sunday October 23 when I left NY and flew to Miami to the home of Bertha. Then early Monday morning, Bertha and I with the appropriate visas in hand, left on a chartered flight to Jose Marti Airport in Habana, Cuba. The adventure began. 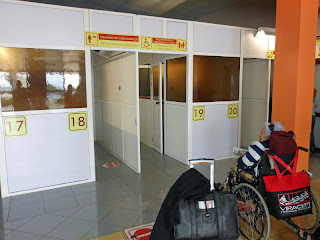 We landed in Jose Marti airport and ran the gauntlet of immigration, customs and the health department. Immigration checks your visa, ask questions about the purpose of your visit and who you are visiting – the specific name and address and take your photograph. Customs asks what you are bringing into the country and passes you through the same screening as happen with the TSA except you don’t have to take your shoes off. The health department wants to know if you have any communicable diseases or if you have been with anyone who has. You’ll see these very cute cocker spaniel dogs running around the luggage claim area. Don’t call to them or pet them. They are drug sniffing dogs trained to sit quietly next to you when they smell drugs even the smallest amount inadvertently forgotten pot residue at the bottom of your pocketbook. Finally, your luggage is weighed because you are allowed to bring into Cuba 66 pounds. Anything over that, the Cuban government charges a tariff per pound unless your plastic wrapped luggage is marked “food and medicines” (which I managed to do when I discovered this from others at the terminal, on one parcel before leaving Miami) in which case it is not weighed. After weighing, you are directed to the cashier to pay the fees which are to be paid in Pesos Convertibles (CUC) which is different from the regular Cuban money which is Pesos. There are two types of money in circulation in Cuba. Of course, the weighing staff was very solicitous after receiving a tip handed to them unobtrusively. After much hushed consultations with someone who appeared to be a supervisor, our luggage was not even weighed so we slipped through without paying any fees even though I know we were way over the 66 pound limit. In addition, we were not forced to go to the money exchange to covert US dollars to Pesos Convertibles (CUC’s) at an exorbitant exchange rate in order to pay the weight tariff. Finally we emerged from the airport terminal into the loving embrace of Bertha’s pseudo niece Olga who greeted me with “Welcome to Cuba” in somewhat heavily accented English. We had finally arrived in Cuba. Everything which happened made every moment memorable.